Never look a gift horse in the mouth. Taken literally, I can honestly say that I have never been given a horse as a gift so I have never had to face this temptation. Metaphorically I have looked at the gift giver with a fake smile of appreciation. Haven’t we all. The worst gift givers in my life are undoubtedly my parents. In my teens I started searching for the gifts prior to the day they were to be gifted to me. Thankfully my mother is as good at hiding gifts as she is at giving them. One year I found my Easter eggs carefully hidden in the fridge just behind the milk! I continued searching for my gifts well into my adulthood just so I could express my shock and disappointment in private and then have enough time to perfect my look of joy and practice my spontaneous words of joy and thanks. The Body Shop and Dusk (candles) have made their owners very rich indeed trading on the ignorance of gift givers. If all else fails give someone soap, body lotion or a fragrant candle. Ignore the subtle message that is being bought along with the gift - the receiver of this gift smells. The only thing lower than soap is a gift voucher. This just indicates that you could not even be bothered trying to decide on a gift. It simply demonstrates that you completely gave up trying. Generally I do not like shopping for gifts, there is so much pressure. The gift reflects the relationship, it tells the truth. Wether it be that you know the person dearly, that you understand their needs and wants or that you are really out of touch or careless. Earphones should not be a great gift. But it turns out they can be. I listen to the MP3 player of my choice a lot. At the gym, on the train and walking through shopping precincts to help me escape from world around me or in the middle of the night to help escape from my sleeplessness. Sound blocking headphones are therefore the perfect gift. I have quite a liking of new clothes, particularly shirts and jackets, any addition to by wardrobe –busting collection is always welcome. The perfect does not have to be expensive, it just has to be the right gift for the person. During my childhood gifts were always rated on the “ooh and ah scale”. The more my mum ooh-ed and ah-ed about a gift the better it was. My sister and I have always preferred gifts that rate high on the buyers ooh and ah scale rather than that of the receiver. 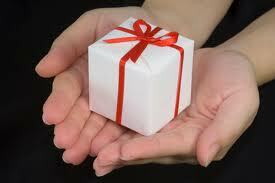 The more a gift jumps off the shelf demanding to be bought for the receiver. Going shopping with an open mind and no list only adds to the pressure. The best gifts I have bought are ones that leave you know option but to buy them. Like purchasing a new pet, the right will choose you. The Swap Over is the best. When a gift has been selected and the purchaser is making their way to the cash register and they are stopped in their tracks as the “good gift” is out bidded by the perfect gift that miraculously catches the gift giver’s eye just moments before the cashier calls “next”. Despite the pain of having to re-enter the ridiculously long line, the gift giver will, without hesitation leave the already navigated line to complete a swap over. Cliché gifts are rarely wanted or needed by the receiver. Pewter beer pitchers for a 21st are not the perfect gift unless of course they recipient is a regular participant in medieval re-enactments. A gold watch for a retirement gift is at best redundant. The whole point of retirement is that the retiree no longer needs to live heir life by the clock. As it turns out, buying a retiree incontinence pads will not be appreciated by the receiver. Collections also have their own risks. Before adding to someone else’s a collection ask yourself two questions. Have you bought every piece in the persons collection? If yes, do not buy any more. Is the last item in the persons collection not bought by you more than five ears old? If yes, do not buy any more. And finally, as buyer of gifts for other people keep in mind it is of no consequence if you like the gift, only if the receiver does. Never buy a gift if you catch yourself thinking “I could really use this.” Unless of course it is a gift for my grandmother, now 96 years old she has been putting little stickers on every non-perishable gift since she turned 70. The sticker has the name of the person who gave the gift. This an official part of her last will and testament. Everyone receives back every item they have given her. I am really looking forward to the fine china tea set hand-painted with images of a blue wren – it will go perfectly with my home gym.